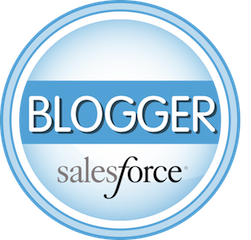 ← Which is easier to learn – Salesforce or Consulting? Have you ever heard the expression "Is it bigger than a breadbox?" (BTW – who has a "breadbox" these days?). Or perhaps "animal, vegetable or mineral?" If not, you might be too young to be familiar with a game called "20 Questions." I touched briefly on this topic when interviewed on the Button Click Admin Podcast. 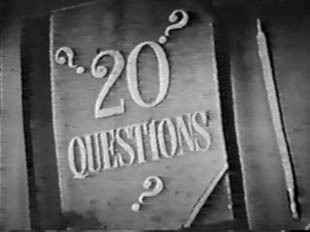 In the game a person thinks of a topic and other players try to guess the subject by using only 20 questions. So what does Salesforce consulting have to do with a popular radio program from the 1940s? Salesforce consultants are time constrained, and therefore must maximize face or phone time with good questioning to efficiently gather as much information as possible when working with their clients. Long before the work starts, questioning begins. In fact, asking for information comes into play well before there is even an agreement to do business together. To write a proposal, or Statement of Work, you need to know both the requirements and expectations of the client. It’s a topic that I covered with Geraldine Gray in our 2013 Dreamforce Session about starting a Salesforce consulting practice. It’s called a scoping or discovery session, and your goal is to gather as much knowledge as possible about the potential project – functional groups impacted, timelines, pain points, where the data resides, security concerns, the flow of information, etc. The time you have available with a client to scope out a project can be as little as an hour on the phone up to day or two onsite. During these discovery sessions you’re interviewing business owners and department heads to understand how they work and their role in the process. At this point you’re not trying to understand every detail, but rather just enough to put a box around the engagement so you can give estimates to your clients in regards to costs, resources and timeframes. Once the project is underway, a consultant will need to understand all the moving parts in detail – the factors that are in play, their cause and effect, and desirable outcomes. This is typically done over a series of meetings to work through the client’s business processes one step at a time. Consultants might even interview front line personnel in order to get enough detail and color about a particular issue. If they don’t capture the use cases and requirements, the consultant won’t have what they need to configure Salesforce. That’s why questioning is a fine art. Consultants in most cases have to facilitate these process and business conversations with clients to extract what they need to finish the project – and time is money. They have to move quickly and be laser focused. Each question should not be wasted, but reveal another piece of the puzzle. Armed with that information the consultant will later leverage the Salesforce platform to provide (hopefully) an elegant solution. By "elegant" I mean sensible – one that does not add extra work to users, is intuitive and efficient. Facilitating conversations with clients to get to these details is a big part of being a consultant. Some clients are over-prepared when working with consultants. They have their business documented with flow charts and provide detailed functional requirements. They come to meetings with reports, screen shots, and sample communication templates. Unfortunately these are the exceptions. What we usually experience is that a business process is locked in someone’s head and we have to extract the details through interviews and questioning. It’s important not to try to solve any of your client’s problems in an initial meeting. You risk setting expectations on how Salesforce will be used without a thorough comprehension of their business. The objective for the consultant early in the process is to listen and learn and understand the "big picture." Once you know end-to-end how a particular business operates you’re in a much better position to provide the right solution. It’s an easy error to make for new consultants. You solve too early in the discussion and start configuring right away only to get hit with a "gotcha" downstream, which forces you to re-architect the design and waste valuable time. In some cases changing the design is not trivial, especially when you have heavy business logic, security, reporting, custom code, or integrations in play. As a consultant your job is to facilitate the conversations and solve the problems that are revealed in these discussions using the Salesforce platform. The client’s role is to participate and communicate the issues – hopefully providing all the variables to the equation. Miss a component of the equation and the result won’t be ideal. Even worse, an omitted detail can mean going back to the drawing board and reworking the solution. That’s why it’s critical to not only be efficient with the client’s time, but thorough. Done well, the process is painless and efficient for the client. However to make it look easy the consultant will be working hard – documenting like crazy while thinking a question or two ahead. At the end of a discovery session or a day onsite with the client the consultant is usually drained. It’s hard to be mentally "on" for a full day in front of a client facilitating conversations. How good are you at playing the game?